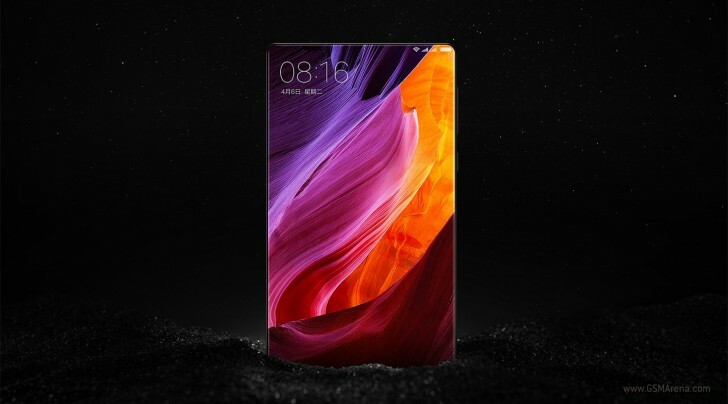 The Xiaomi Mi Mix has probably surpassed any other smartphone in terms of popularity this season due to its amazing edgeless design that seems like a device from the future. While others competed in camera and chipsets, Xiaomi went for the most visible innovation - design. And it has worked! In the days following the device premiere, the Mi Mix was all over the internet, and it got a lot of people talking. It received glowing reviews and everyone agrees that the other manufacturers better up their game because the bar has just been set higher than ever. And what's not to like? It's got a massive edgeless screen, a piezoelectric speaker (that sends sound through the body of the phone), an ultrasonic proximity sensor, and, of course, top-notch hardware nestled in-between the layers of glass and ceramics. As you may have guessed it already, our review unit has just arrived. Once we took the Mi Mix out of the box, we were wowed by its design and that's a rare feeling in our line of work. We have our doubts about the mirror finish, and we would have largely preferred a matte surface, but as far as premium finishes go, the ceramic back and sides rank among the best. The second wow came when we turned on the Mi Mix and the MIUI 8 booted for the first time. We knew what to expect from all the images and videos available online, and yet we were nothing short of impressed. The edge-to-edge screen is certainly an attention-grabber, especially at the top. Sharp was definitely the first to come forward with innovation in this department with the Aquos Crystal and Aquos Crystal 2, but those phones were mostly sold exclusively though just few carriers and never gained such popularity. 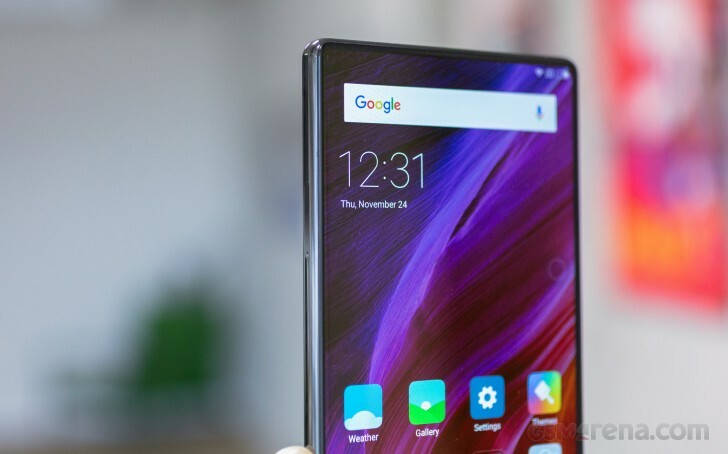 You bet we'll be putting the Xiaomi Mi Mix through our full review routine, but before we dig into the details, there is one thing that we just had to check without any delays. Xiaomi announced the phone with a claim of a previously unheard 91.3% screen-to-body ratio, and while we didn't quite buy it, it certainly stirred our reader's community. 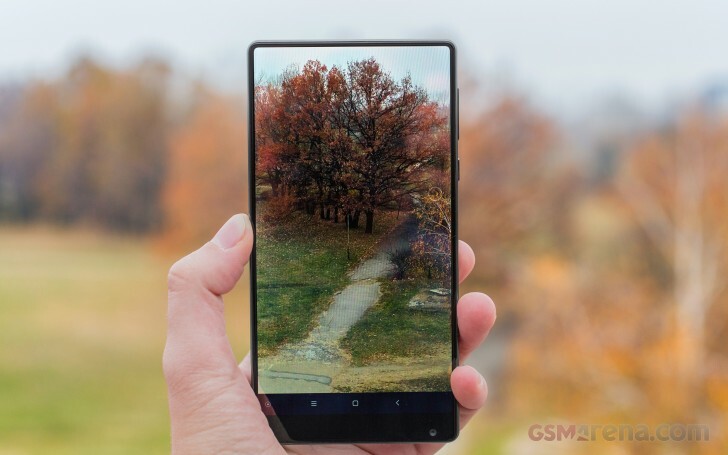 Back when the Mi Mix was announced, we did the math based on the screen diagonal and the phone's size, and the screen-to-body ratio was a bit short of what Xiaomi claimed. Not that a ratio of 83.6% isn't class-leading, it's just lower than the 90%+ numbers the official page promises. Let's just say that this didn't go very well with our readers who were enamored with the incredible design of the device. Unfortunately, up until we weren't able to verify our numbers even though we're quite sure we didn't mess up the calculations. The thing is, you would be misled if you were to gauge the screen-to-body ratio based on the official image by the manufacturer. Xiaomi's graphic designers went a bit overboard with those and hid the tiny 2mm display borders to make the Mi Mix look even more impressive than it is (there is no denying its awesomeness). Well, now that we have the phone in our hands, there is no reason to wait any longer to clear this up. Today, we took a photo of the real Xiaomi Mi Mix head-on and then we used Photoshop to select the phone and the screen precisely. We then used the Histogram tool to measure the surface area of all pixels (yeah, it's a surprisingly nifty tool). All that remained was a simple calculation (screen-to-body ratio = screen surface area / phone surface area) which yielded 84.72%. Surprised? We weren't. But it always feels good to prove you were right in the first place. We repeated the calculations using a simple ruler and a calculator the old-fashioned way, and we still ended up with a ratio that's not much higher than 84%. We went to investigate the matter further, and it turned out that when Xiaomi did their calculations to reach the marketing-worthy 91.3%, they included the entire display frame around the top and the sides. 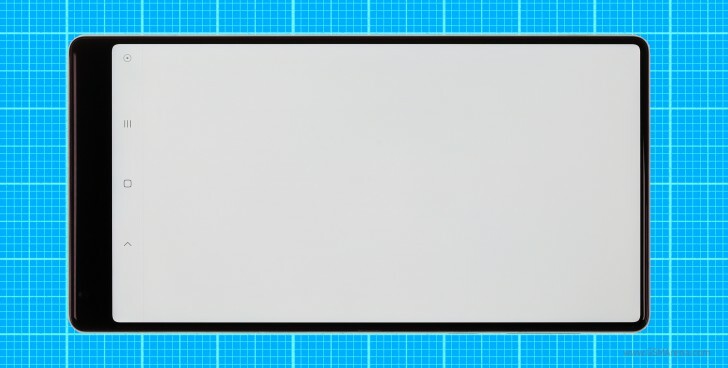 We get it - it may be a legit claim that these borders are part of the screen panel itself, but if that's so, why didn't Xiaomi use them when they measured the screen diagonal in the first place? If you count the thin black borders as part of the screen, you will get a screen-to-body ratio of up to 91%, but that would mean that the screen has a diagonal of 6.59 inches. But when you've got a screen with a diagonal of 6.4 inches, there is no way you can get a screen-to-body ratio of 91.3% with the current phone size. 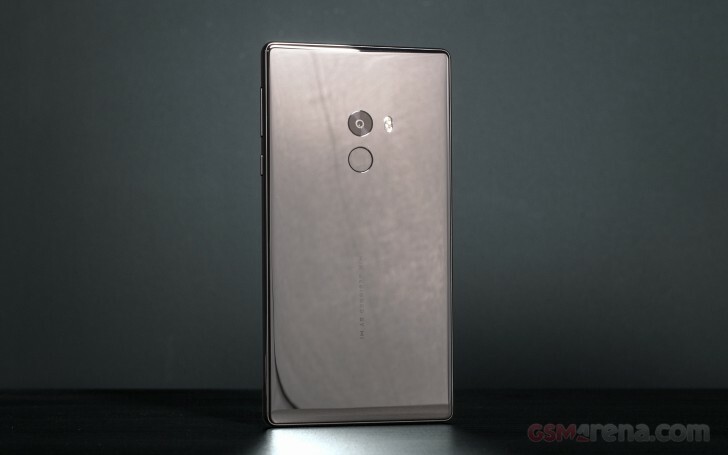 So Xiaomi needs to make its pick - is this a 6.4-inch screen with an 84.72% screen-to-body-ratio or is it a 6.59-inch screen with a 91.3% screen-to-body-ratio but with 2mm black bezels all around the screen included? Anyway, we now know the reason for the mismatch, and you can make your pick which of these sizes you would like to quote next time you're playing nerdy trivia games. In the end of the day, it doesn't matter whether it's an 85% or 91% screen-to-body-ratio. 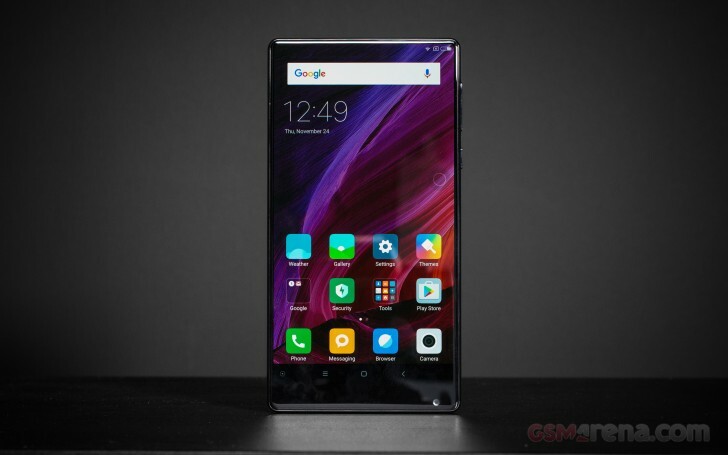 The Xiaomi Mi Mix is an incredible feat of engineering that probably comes around only once in a few years, and it will go down as a landmark in the industry's history. It didn't need any sugarcoating to begin with, the Mi Mix is amazing as it is. Despite the bitter taste left by those technicalities, we can't wait to put this device through its paces and we have high expectations. Stay tuned; the review is coming!